Natalia has more than a decade of experience in the legal profession. She began her career as a family and matrimonial attorney at Segal & Greenberg LLP, where she litigated cases involving divorce, custody, child support and family offenses. 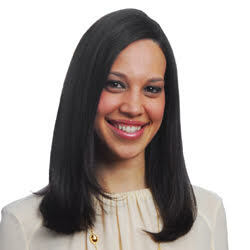 After leaving practice, she worked with law firms across the country as a Law Firm Relationship Manager at Bloomberg L.P. and developed diversity and gender inclusion programs at Paul, Weiss, Rifkind, Wharton & Garrison LLP aimed at the recruitment, retention, development and promotion of women and diverse attorneys. Most recently, she worked as an Associate Director of Career Development at the University of Miami School of Law, where she counseled students on career and professional development strategies. A Miami native, Natalia earned her Bachelor of Arts degree in Political Science from Florida International University and her law degree from Benjamin N. Cardozo School of Law. She is passionate about helping to create workplaces where everyone has the opportunity to thrive and is excited to be part of the Diversity Lab team.